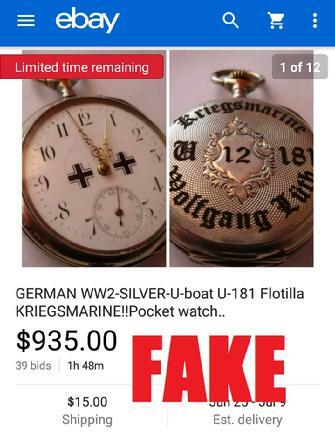 Yes, the parade of fake watches continues. 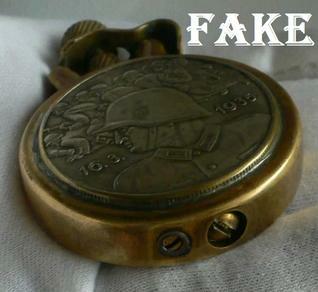 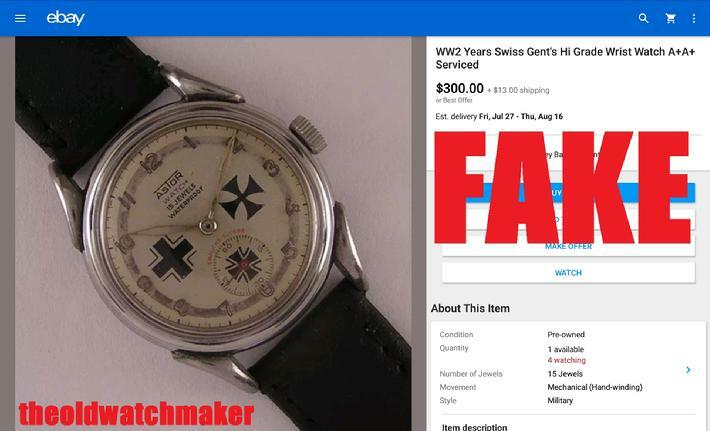 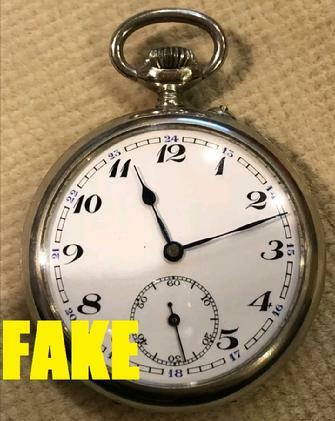 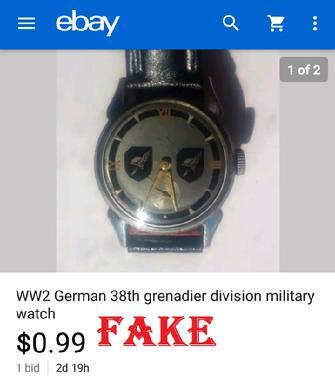 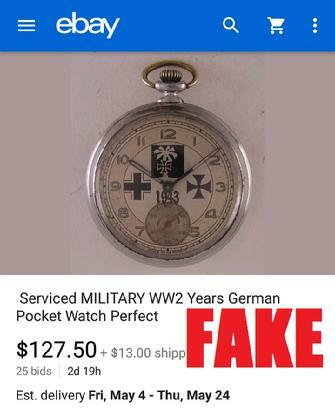 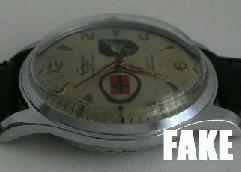 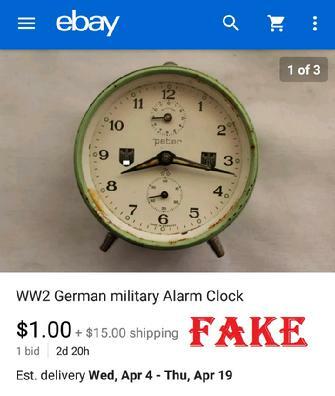 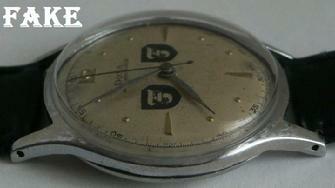 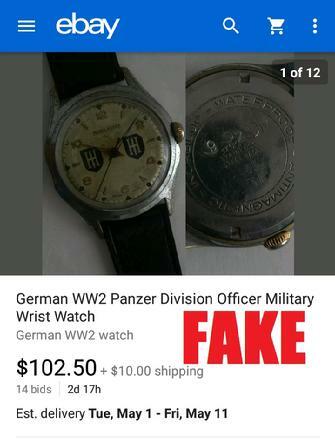 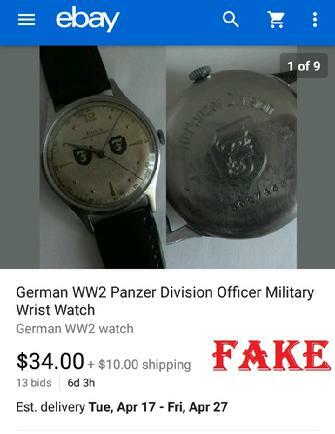 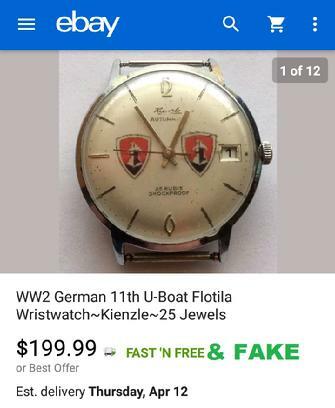 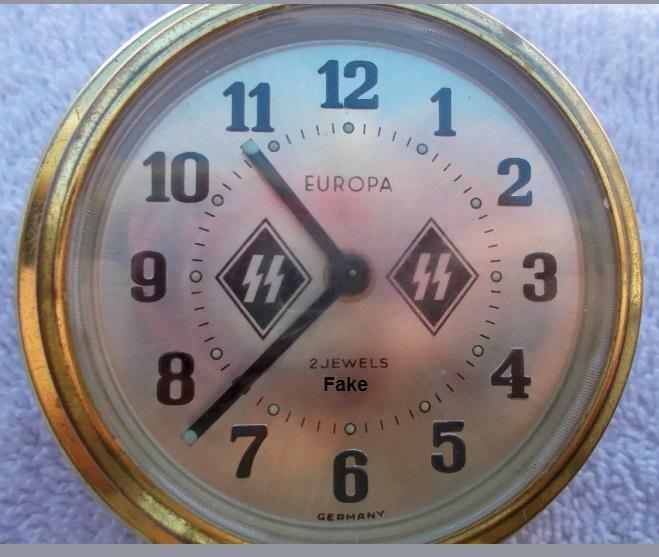 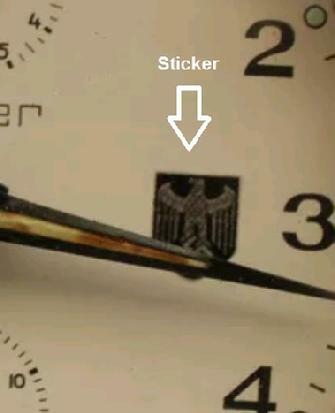 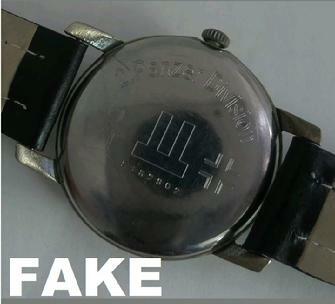 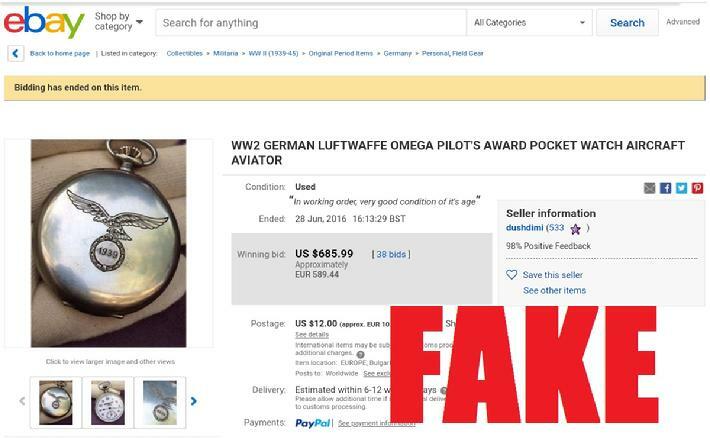 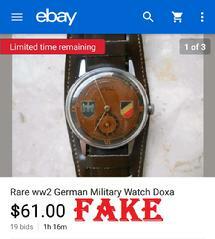 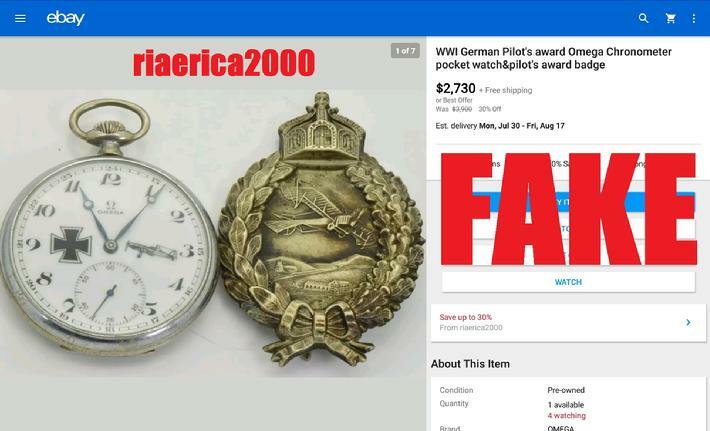 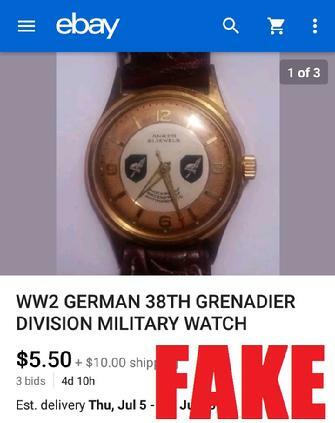 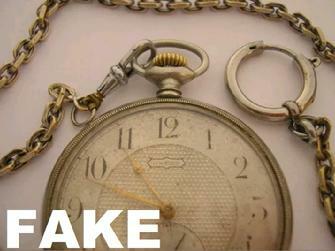 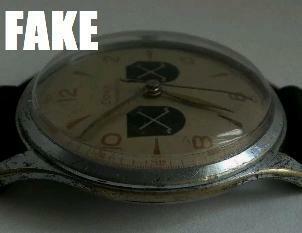 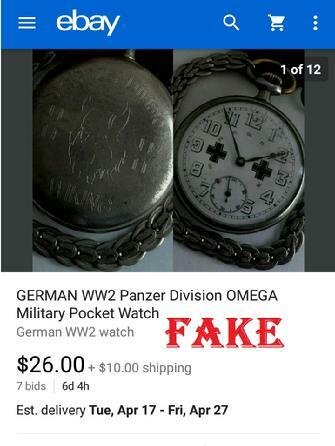 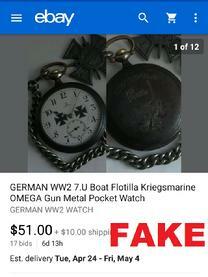 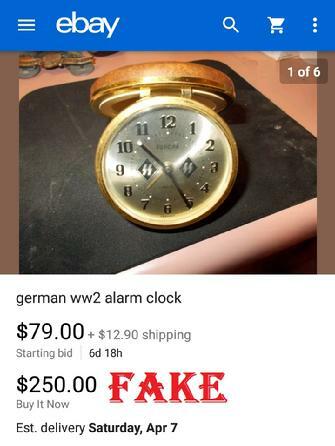 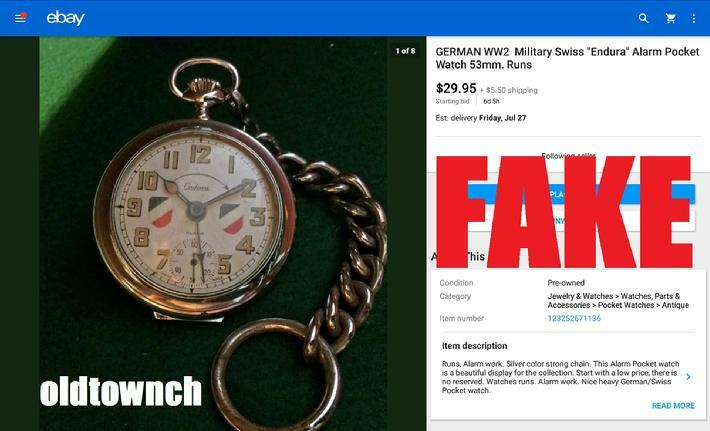 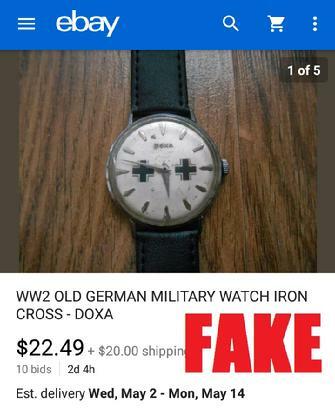 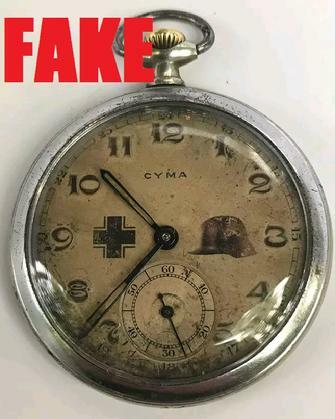 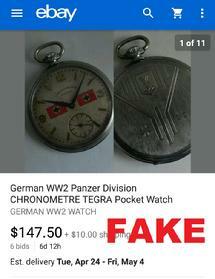 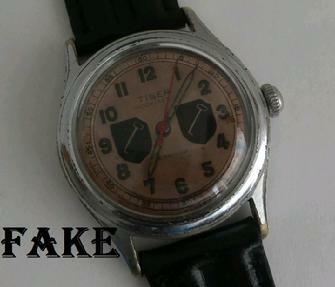 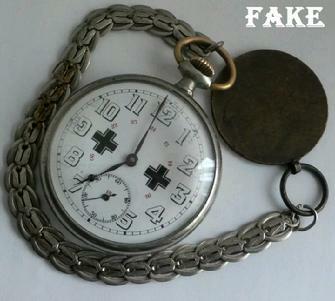 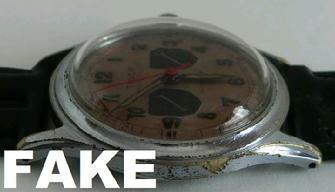 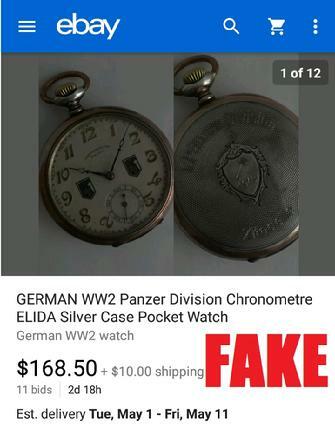 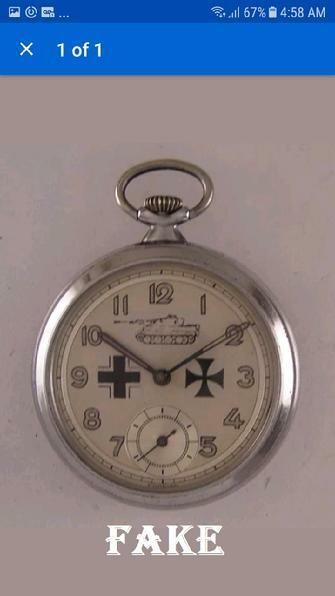 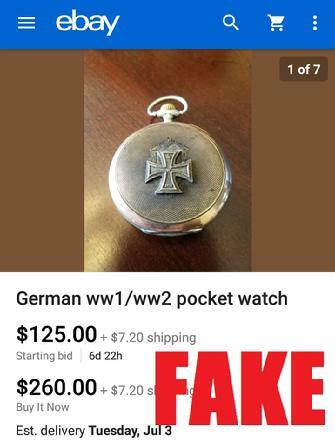 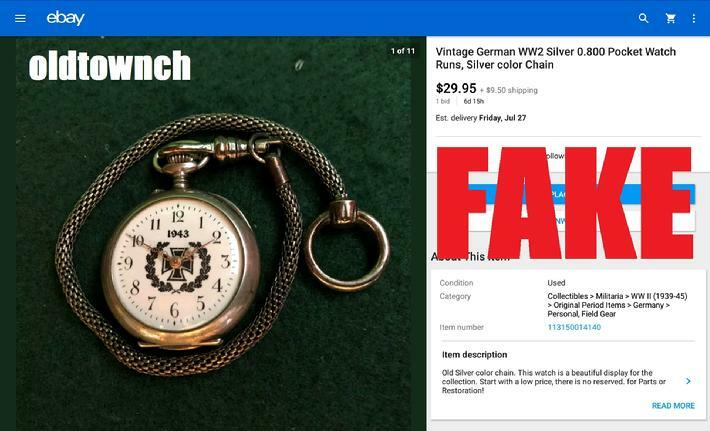 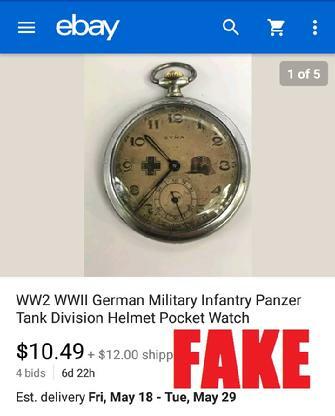 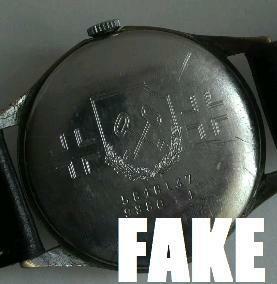 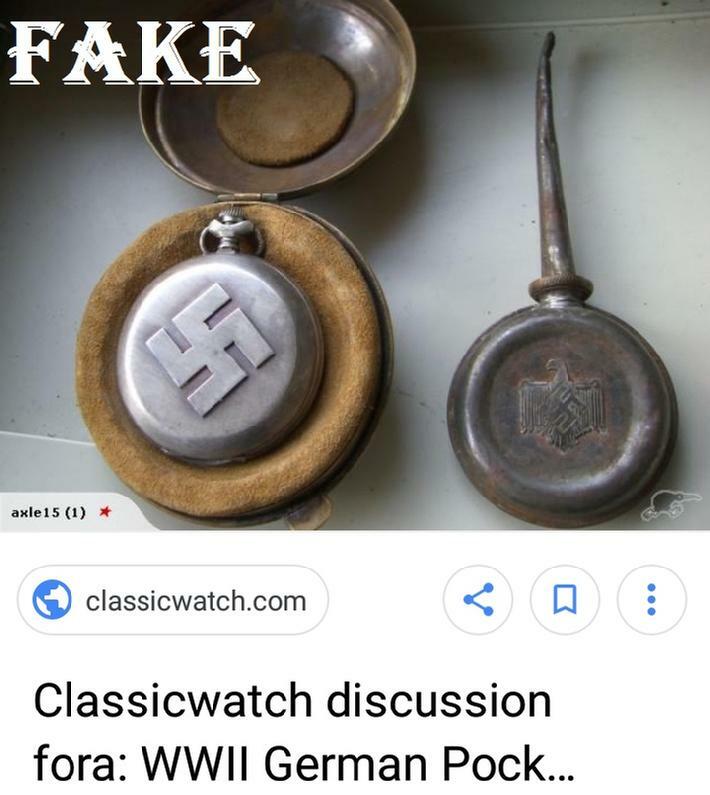 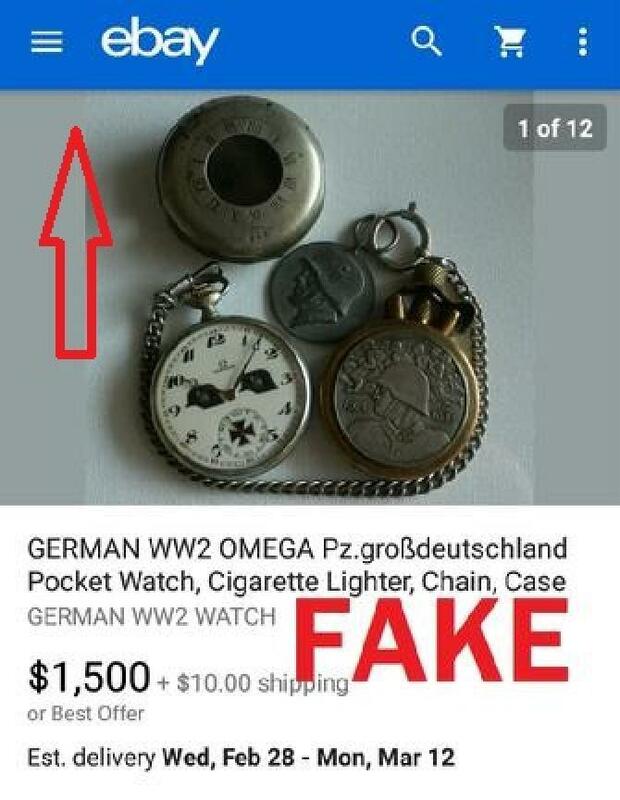 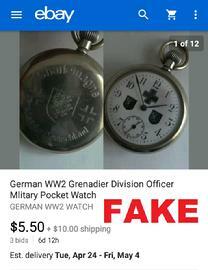 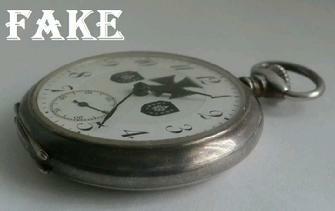 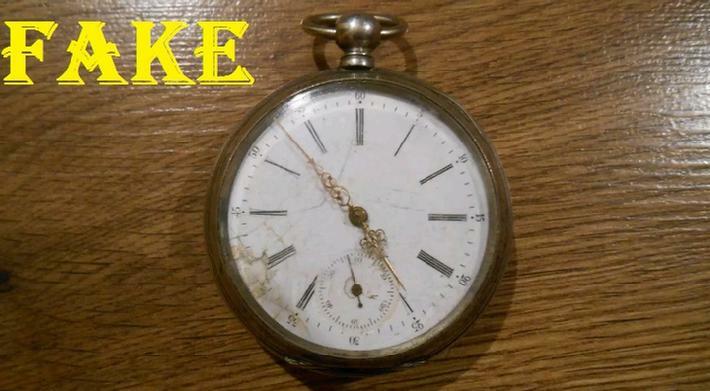 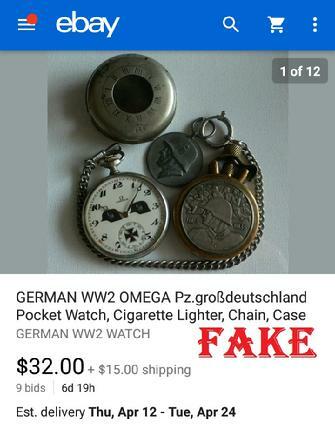 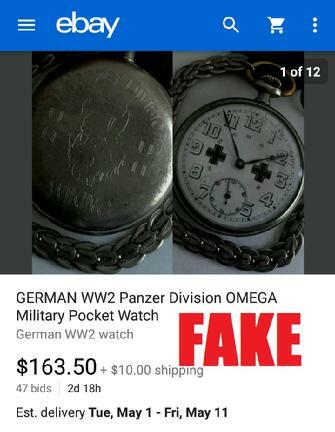 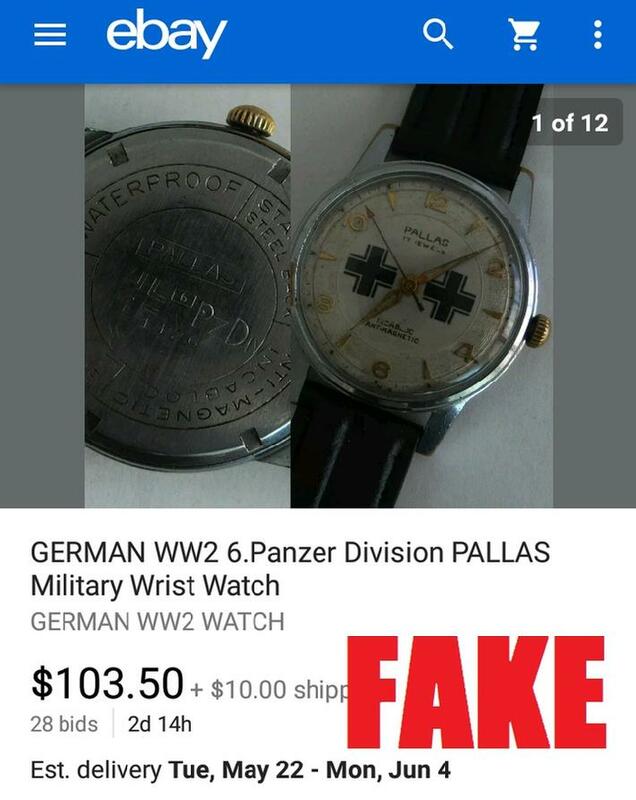 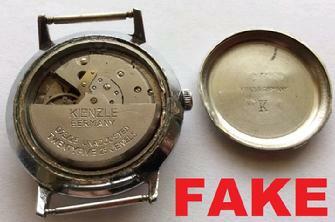 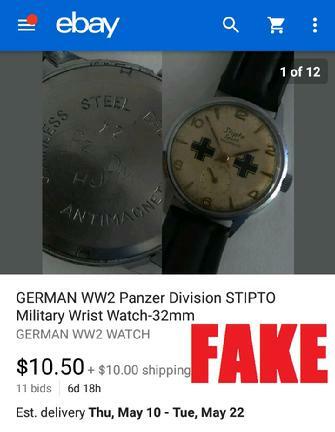 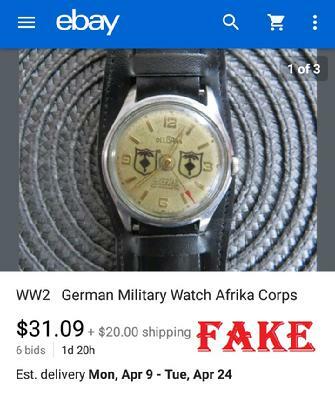 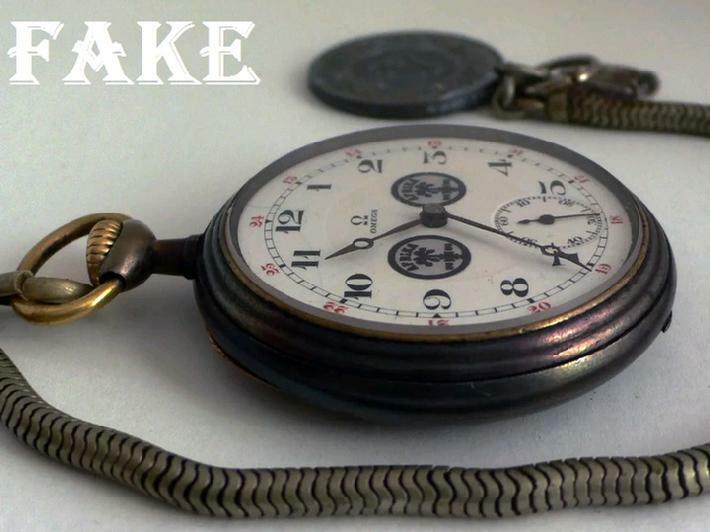 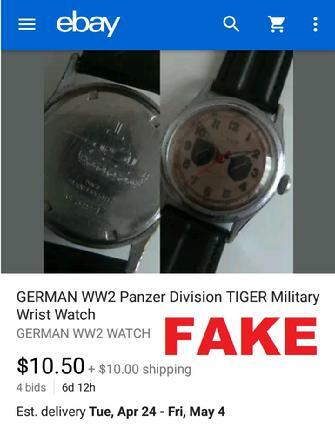 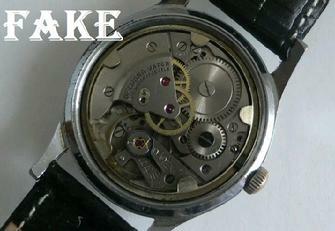 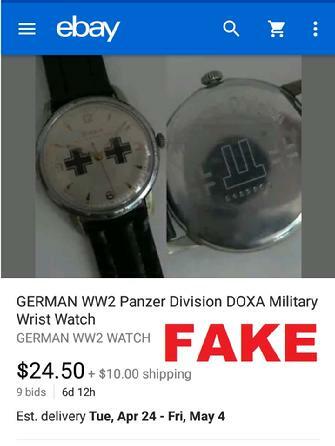 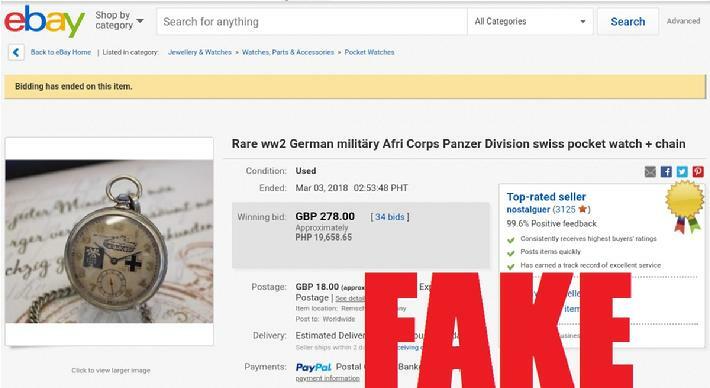 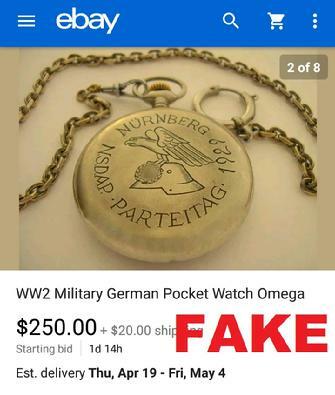 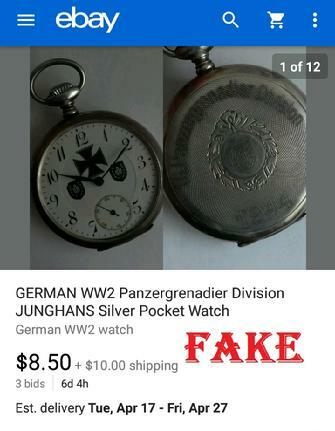 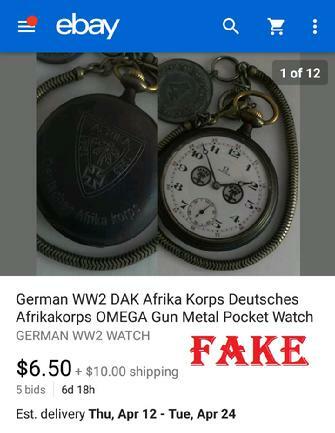 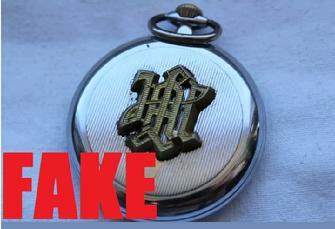 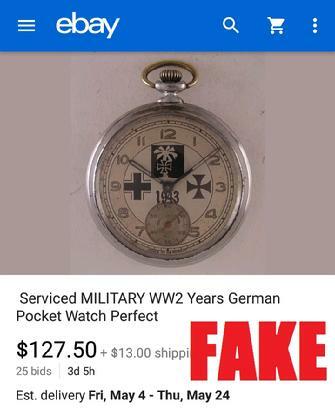 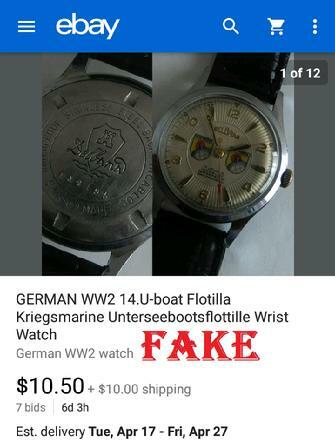 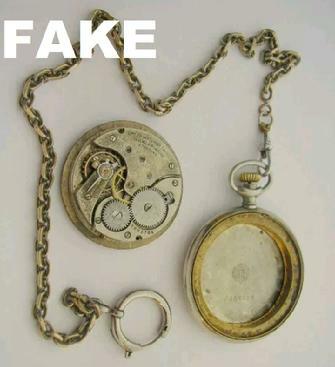 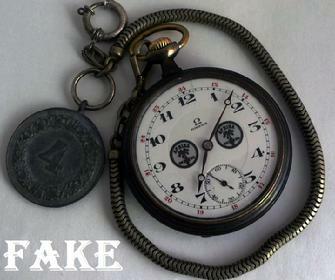 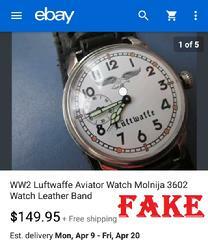 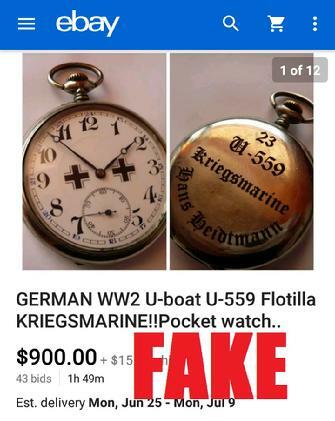 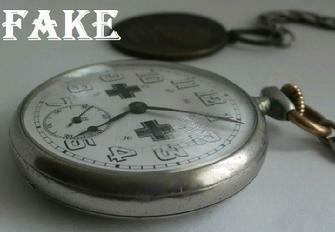 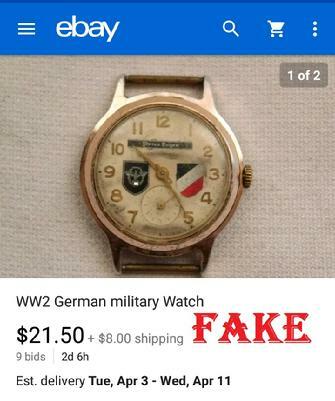 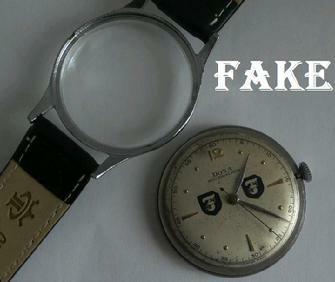 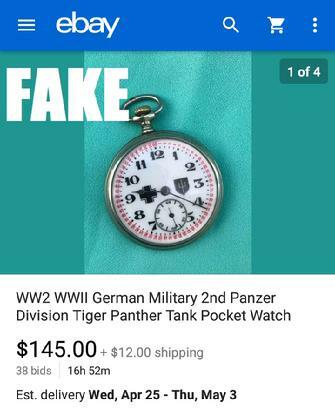 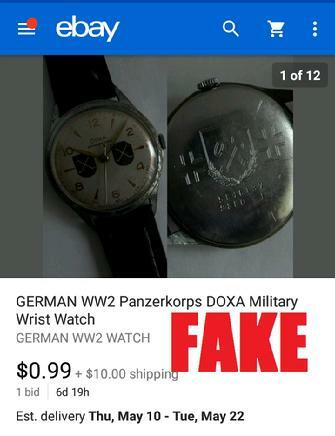 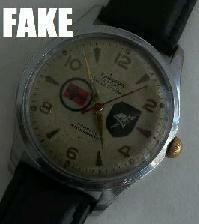 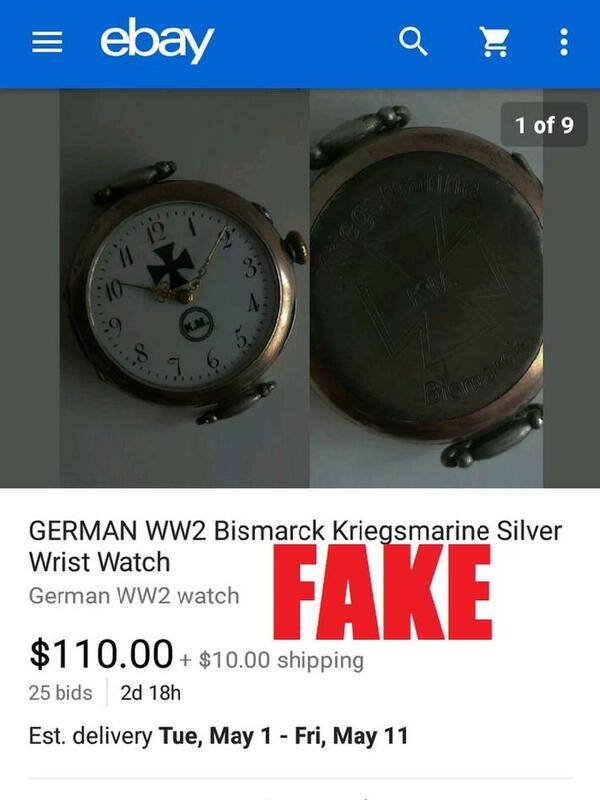 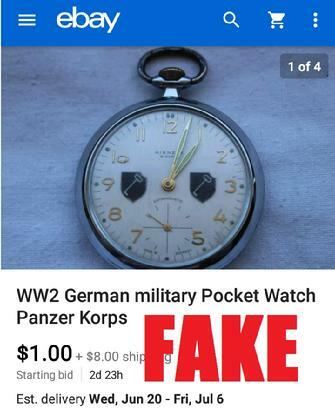 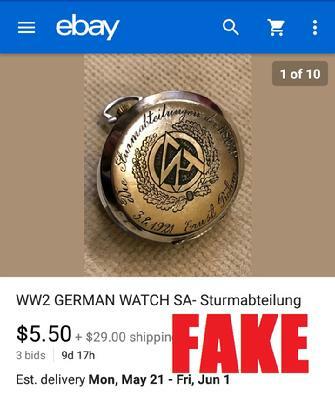 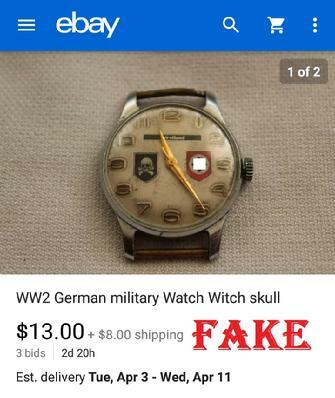 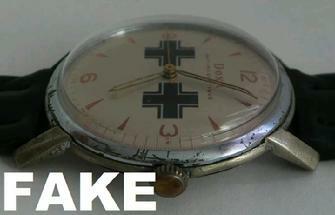 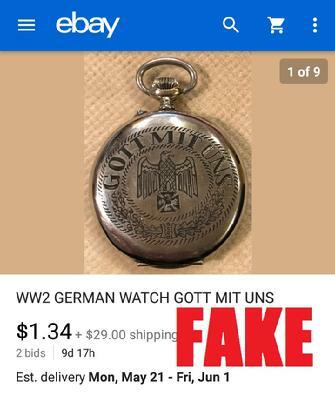 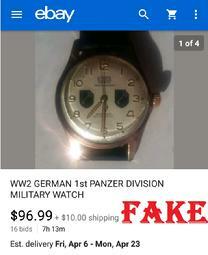 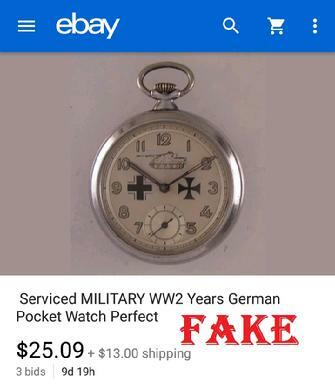 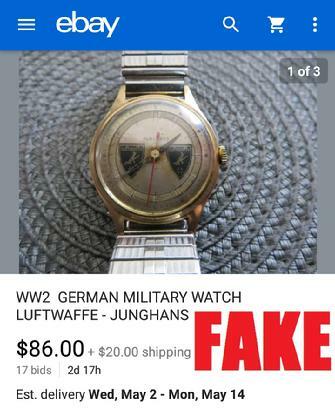 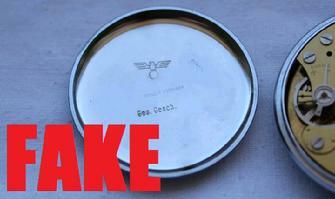 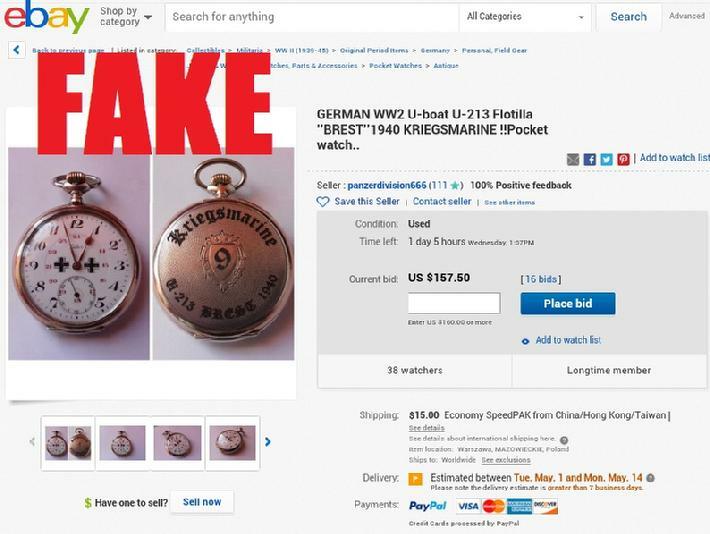 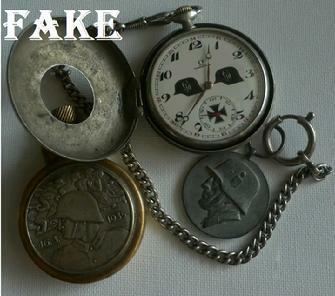 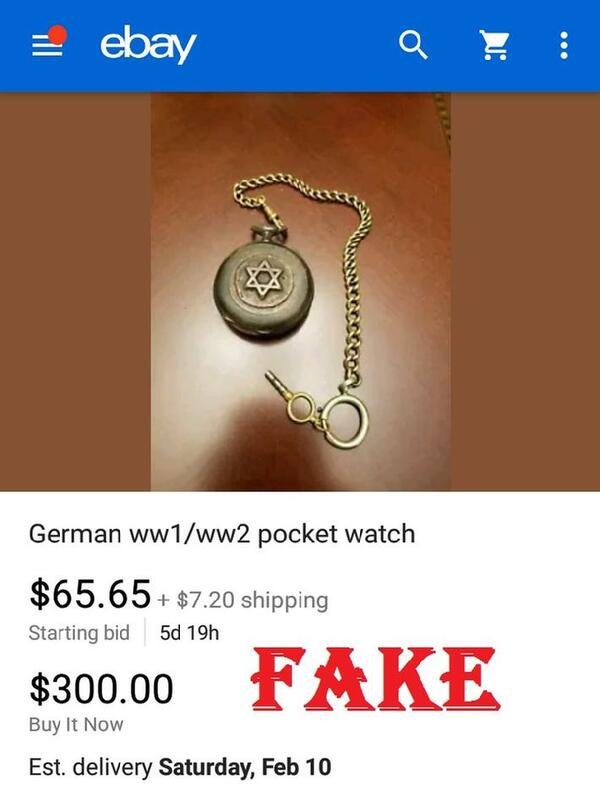 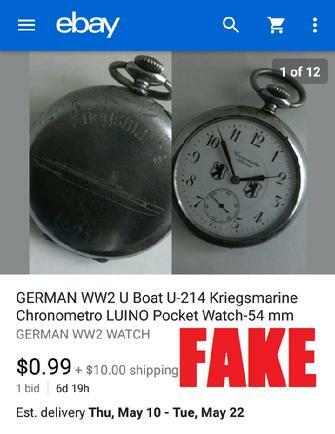 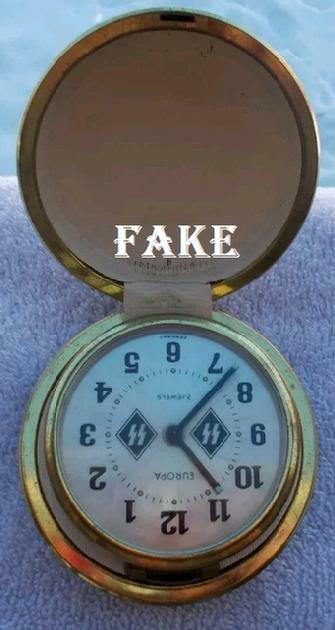 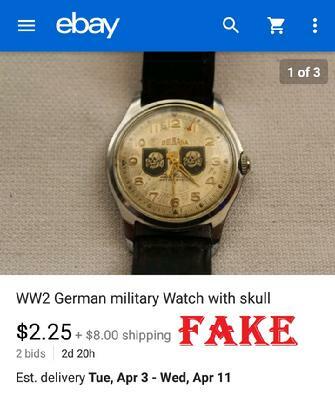 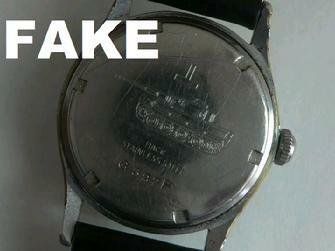 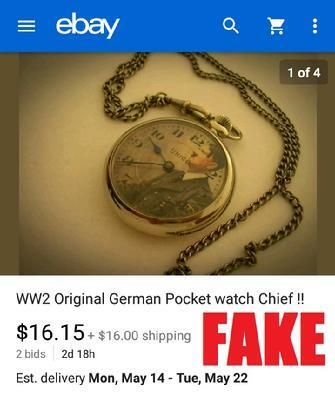 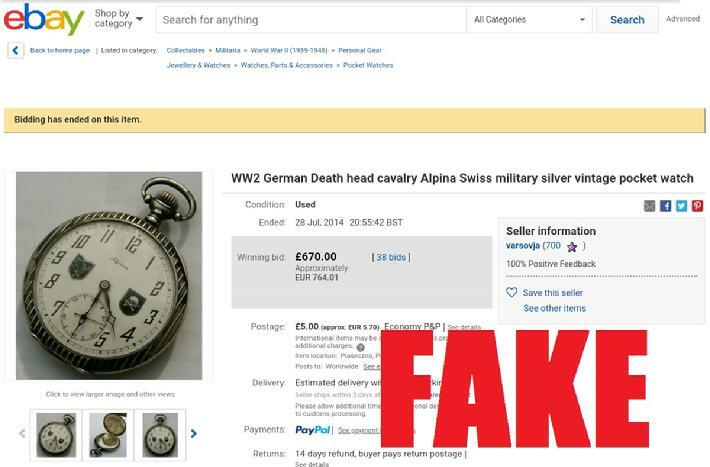 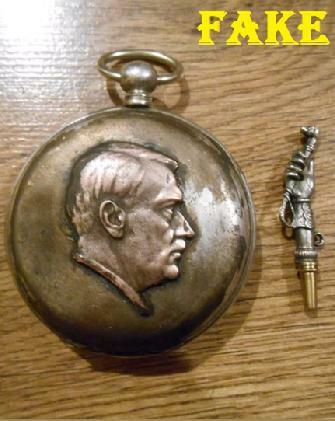 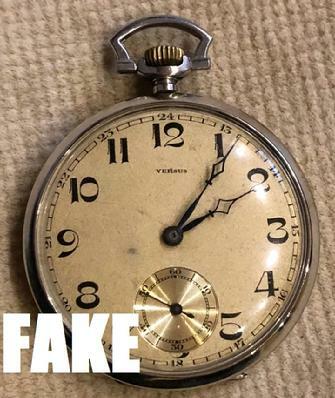 It’s astounding how many people fall for the never ending stream of fake Nazi watches on eBay. 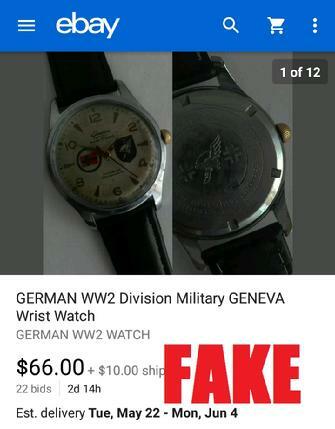 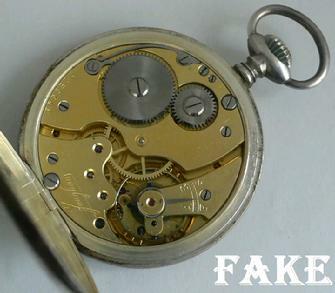 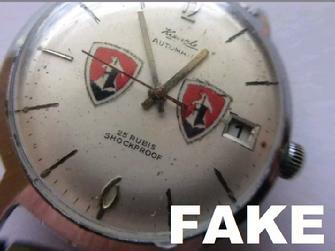 They apparently make little or no effort to research the authenticity of such watches, and just believe whatever the seller says about it. 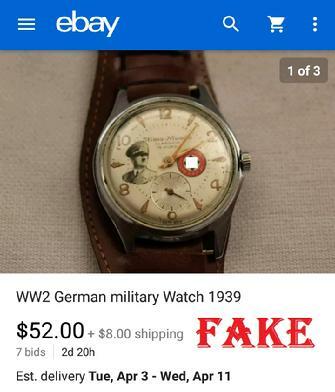 Most of these watches are sold from countries that were occupied by German forces, so it’s easy to claim these are all relics left behind by the defeated military. 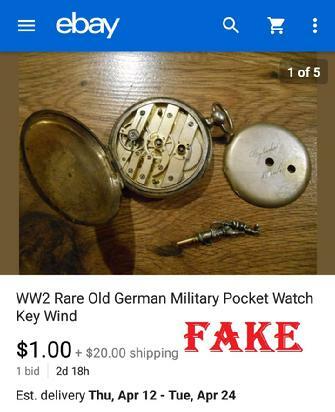 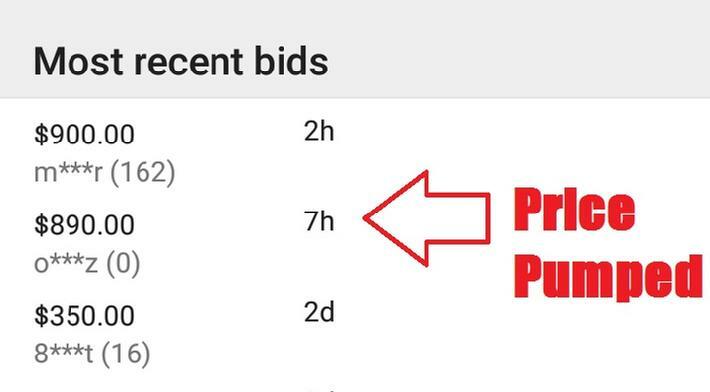 I try to bring buyers attention to the fact that they are simply throwing their money away on these items, but you can’t fix stupid.